Having an outdoor sport or hobby like cycling may take up significant floor space. A bicycle is a difficult piece of equipment to store and finding the correct storage solution can be just as hard. Indoor storage systems are handy especially when you have limited space. But then, how do you find a good quality bike rack? What you need is something sturdy enough to store your bicycle, yet easy enough to gain access to the bike when you need it. The best storage equipment option is a bicycle ceiling hoist. It’s basically an essential item for any cyclist and you’ll find many advantages to owning one. 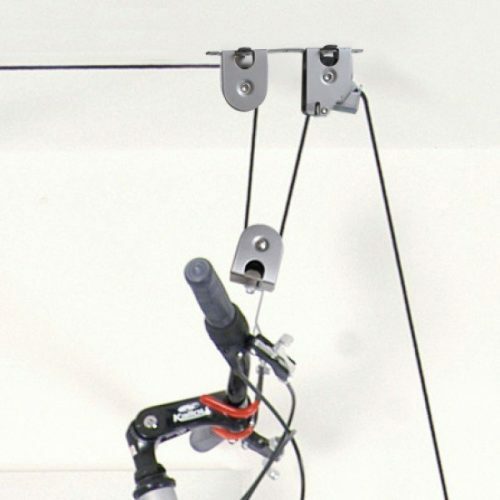 Luckily for you, we have a review for the one of the best bicycle ceiling hoists on the market at the moment. 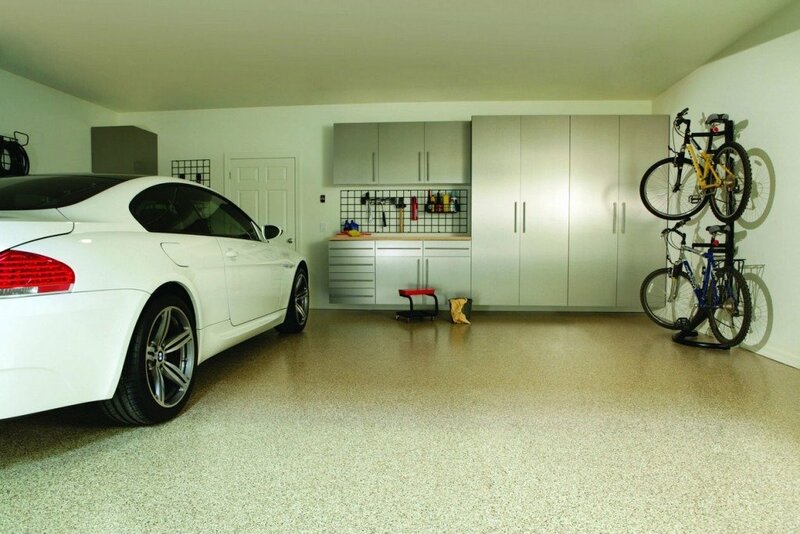 There are many bicycle storage units to pick from, however not all of them save floor space. Some of them take up even more unnecessary space. The best storage solution is hoisting your bike up into the air so it’s off the floor and out of sight when you don’t need it. The Delta Cycle El Greco bicycle ceiling hoist is capable of doing just that. It’s a uniquely designed piece of equipment that will create sufficient floor space, keeping your items safe and providing easy access to your bicycle at any time. 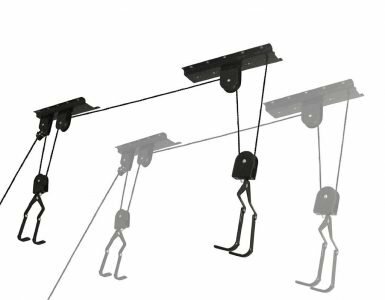 The Delta Cycle El Greco is a ceiling hoist designed with hooks and a strong pulley system. It allows you to lift heavy objects off the ground easily with no strength needed. It’s also easy to lower heavy objects as it has sufficient tension and an easy grip. 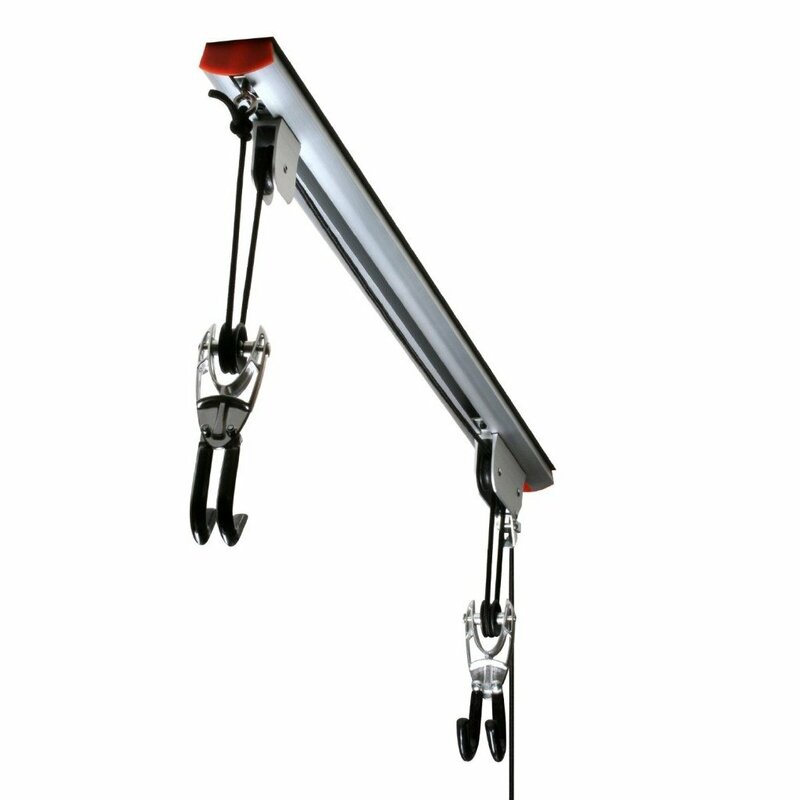 The Delta Cycle El Greco ceiling hoist is user-friendly and anyone with sufficient tools can install this system. All you need is a ladder, tools, and the correct measurements & you’re able to hoist your bike up in no time. It also comes with an easy to understand instruction manual. Where Can You Install The El Greco? You can install the El Greco anywhere that has a ceiling or a beam you can easily screw the mounting system into. The El Greco is extremely economical so you can install it wherever you need ground space. It’s suitable for outside use as well as indoor use. Who Can Use the El Greco? The Delta Cycle El Greco ceiling hoist can be used by anyone who prefers an uncluttered area. They’re easy and safe enough for anyone to use, even the younger generation who needs to pack away their hobby equipment. It doesn’t require a lot of upper body strength as the pulley system holds all the weight of the object. This product is suitable for people that have small apartments and limited garage space. Although we’ve established that the main advantage is to create more floor space, there are many other reasons the Delta Cycle El Greco is a smart option for bicycle storage solutions. Here we will give you a few problems the Delta Cycle El Greco can solve. Using the Delta Cycle El Greco to hoist your bicycle off the ground can actually protect it from bumps, paint scratches and wear & tear. When your bicycle is on the ground it’s more susceptible to damage. Hoisting the bicycle off the ground prevents that from happening. Keeping your bike on the ground can actually damage the tires over time. The Delta Cycle El Greco helps prolong the lifetime of your tires. This means the tires won’t go flat as quickly and they will maintain their tread. Sometimes when you have a lot of clutter especially in a garage, it can be difficult to get to your bicycle. The Delta Cycle El Greco gives you easy access to your bike at all times. The Delta Cycle El Greco is designed for simplicity. 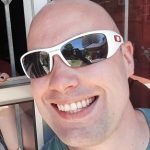 No one wants to deal with complicated devices that are difficult to install and may have confusing mechanisms. El Greco makes sure that it’s always easy to lift and lower heavy objects. Storing anything up in the air with ropes can make you feel like there’s not enough storage stability. However, the El Greco ceiling hoist is designed to be sturdy enough to hold heavy objects. It’s a stable and safe piece of storage equipment. 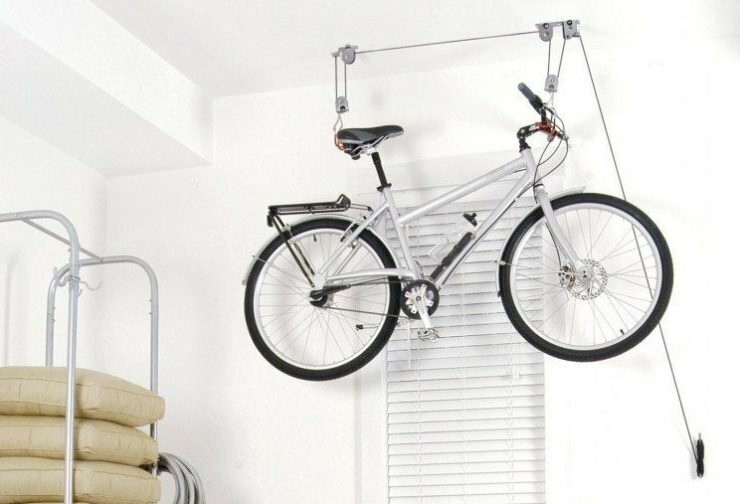 The Delta Cycle El Greco ceiling hoist is a safe and easy way to store your bicycle to create sufficient ground space. It’s a convenient way to access your bicycle quickly and easily especially if you ride every day. It’s a hassle-free storage solution used to store any heavy objects. You can even use this product to create additional space by hoisting up storage racks. You can do this by using two or more El Greco systems. This is a great way to store boxes and other miscellaneous items lying around. It’s a cost-effective way to store your belongings. It’s also safe to use and extremely economical. The Delta Cycle El Greco comes with strong ceiling mounts made from durable steel. It also has a premium core two woven rope. On the ends of the rope are two pairs of red hooks. These hooks are used to hold your bicycle in place. This product has a unique locking mechanism which is for safety purposes. The pulley system is easily controllable. Therefore you create a user-friendly, safe space in no time. This product’s dimensions are 12.3″ x 5.6″ x 5.3″ and it weighs 2.6lb. 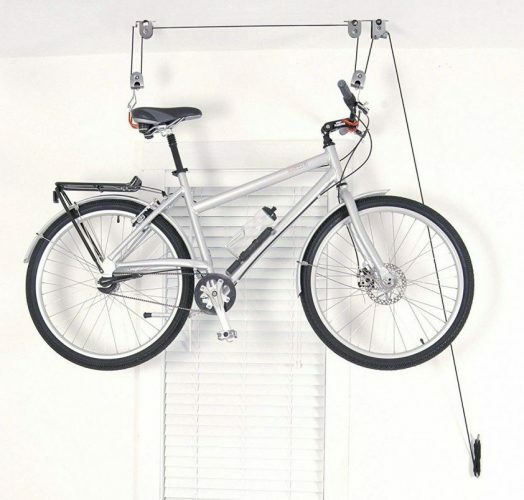 There are many other bicycle storage solutions you can pick from to create more space, however, a pulley system is probably ideal for most households as it’s the easiest way to access your bicycle whenever needed. If you’re looking for a safe and hassle-free system to store your bicycle the Delta Cycle El Greco ceiling hoist is definitely something to look at. It’s inexpensive, easy to install and it’s durable so it will last for many years to come. Free up some space! So what are you waiting for? Free up some space! The innovative bike hoist and rail mount ladder lift by RAD Cycle Products is a great bicycle storage solution for garages with limited space.